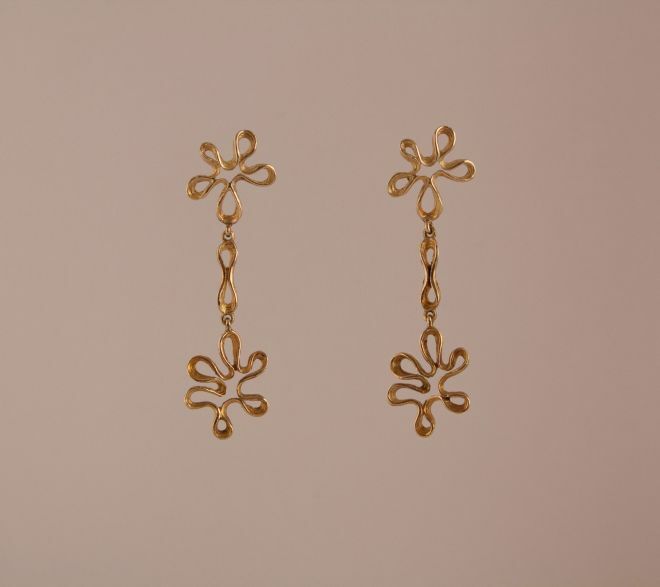 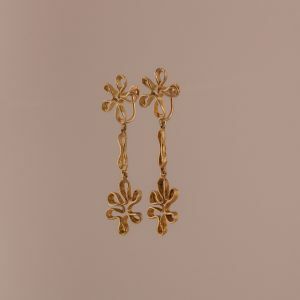 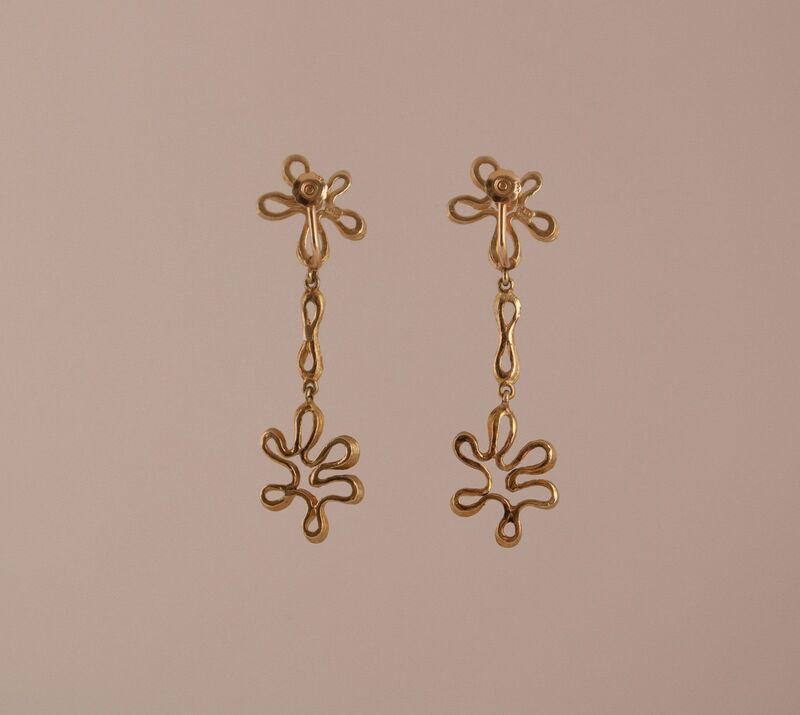 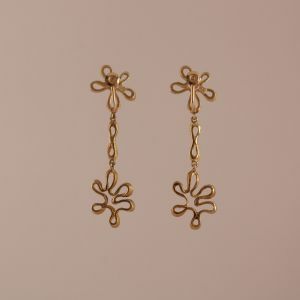 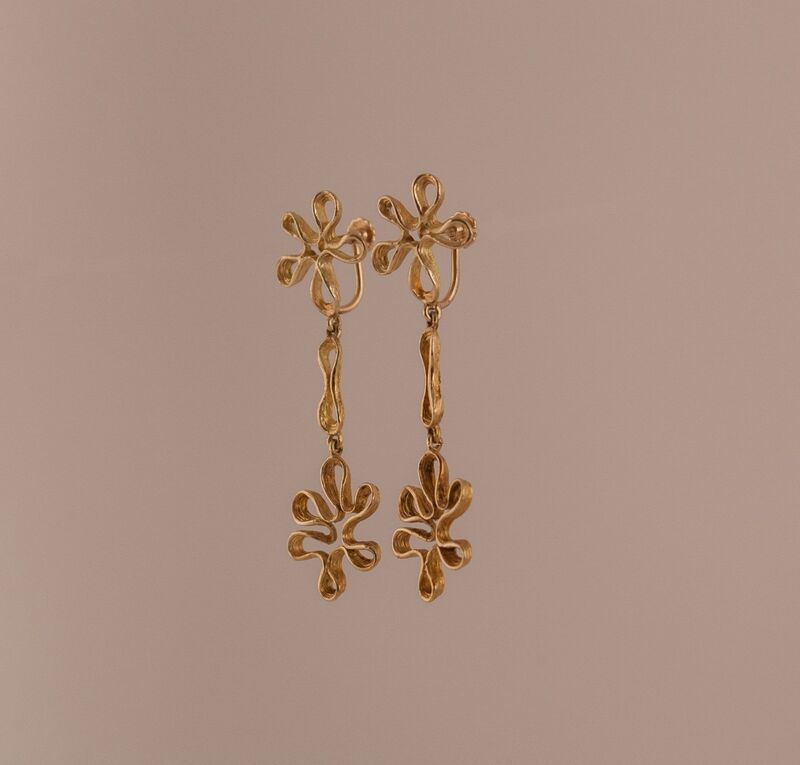 Such a fun pair of vintage 14 karat gold dangle earrings with a "mod," free-form design. 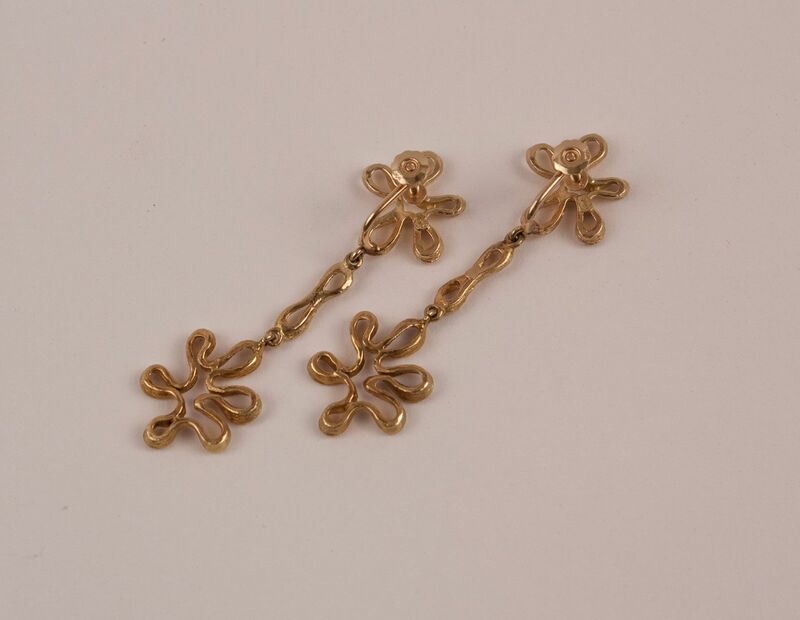 These circa 1970 earrings look fabulous on the ears. 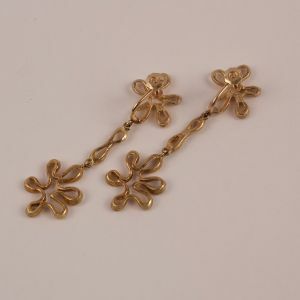 They have a clip-on screw back, but can be easily converted to post if desired.